Dogs love snow, it sends them whappy! 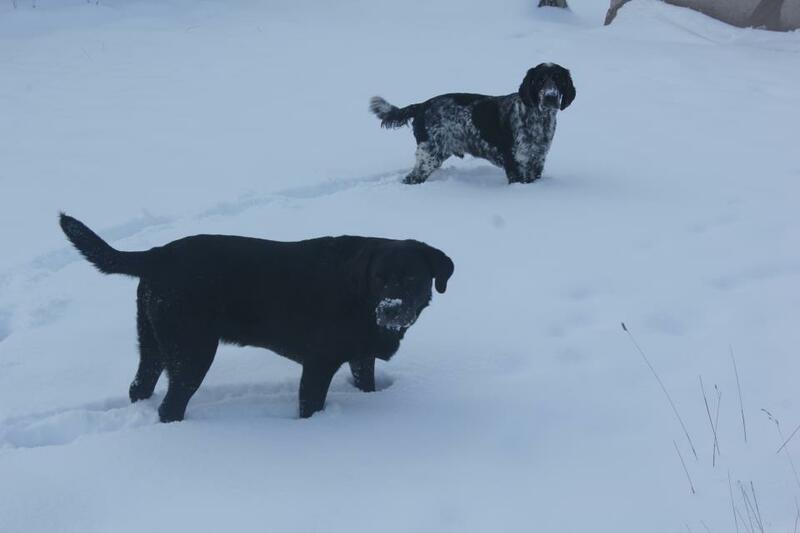 Whilst it’s difficult for us to trudge through the drifts, the dogs chase snowballs & each other. There’s always hares on the field where we walk, but they usually ‘hare’ off & are quickly camouflaged. The dogs half-heartedly run after & then give up. 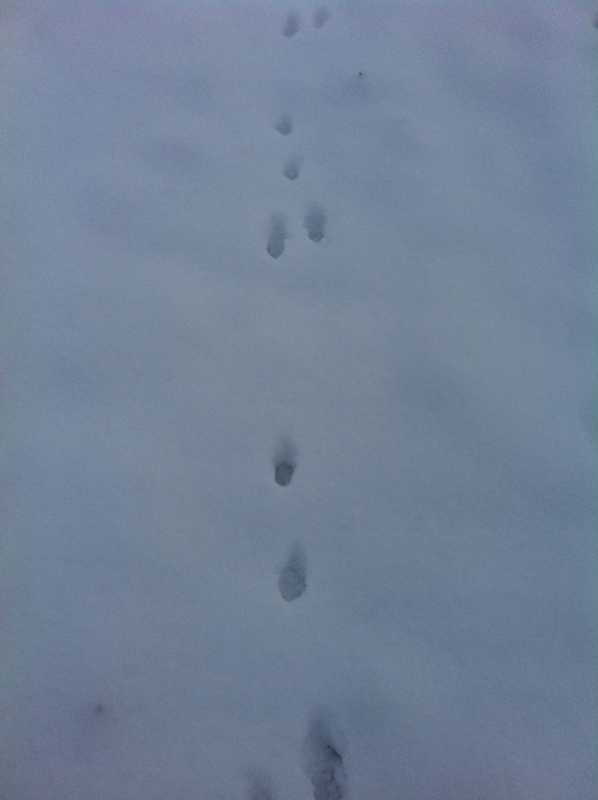 Today I could see many against the snow at the opposite side of the field which was criss-crossed by their distinctive tracks. The dogs were snuffling in the scrapes where the hares had rested, revealing the ground underneath.